I grew up watching hockey with my dad. He played for the local team and I remember spending many hours at the rink watching him play. He’s 60 years old now and he still plays hockey every week with the “Old Timer’s League”. Mind you he says that even the “Old Timer’s” are young guys in their late 30s and 40s. I think it’s great that my dad is still doing something he loves and is staying active. I’ll have to tell my dad about the new CCM Resistance Helmet that recently hit store shelves. It features CCM’s proprietary Rotational Energy Dampening System (R.E.D) and was designed to help with better management of rotational acceleration caused by side impacts to the head that can happen during a hockey game. Along with the liquid filled bladders of the R.E.D. System, the CCM Resistance Helmet also has Impact Pods in the liner construction. They combine EPP foam with a molded shock absorber to help reduce linear accelerations. It also has a simple one-step adjustment mechanism at the back of the helmet so the player can quickly customize the helmet for a comfortable fit. To my untrained eye, it looks like a normal helmet. It was, in fact, designed that way. It looks and feels like a normal helmet and players will play hockey as though nothing has changed. However, with this helmet, they will know that are wearing a helmet made with cutting edge technology and one that offers better protection. The CCM Resistance Helmet was developed and tested over the course of four years with the Neurotrauma Impact Science Experts at the University of Ottawa. Impact testing was completed on head models to analyze the stress and strain impacts from hockey might cause to the brain. The tests include scenarios that can occur during a game like puck impact, drops and falls. The CCM Resistance Helmet is different in that it offers protection against both linear and rotational accelerations. Right now current helmet certifications only focus on linear accelerations like if a person were to fall on the ice. If you’re watching the 2014-2015 NHL season, you may notice a few of your favourite players sporting this helmet. They include John Tavares, Nathan MacKinnon, Patrice Bergeron, Dustin Brown and Alex Galchenyuk. The helmet is not only for NHL players though. Hockey players of all levels can wear one, including young kids. Want a CCM Resistance for yourself or a hockey fan in your home? They are available now at all major hockey retailers worldwide! My youngest daughter, Bridget, told us last week that she might be interested in trying out girl’s hockey this year. I may become a hockey mom after all! If she does decide to give hockey a try, I know just the helmet I want her wearing! Do you know a hockey player who would like to try the CCM Resistance Helmet? Connect with CCM on Facebook and Twitter. my son-in-law and grandson both need new hockey helmets and this looks perfect for them! Yes, my whole family plays hockey, would be a great gift. My nephews all love playing hockey so they would love to try it. My niece and nephew are hockey players. My 31 yr old son has played all his life and still plays on a league now. 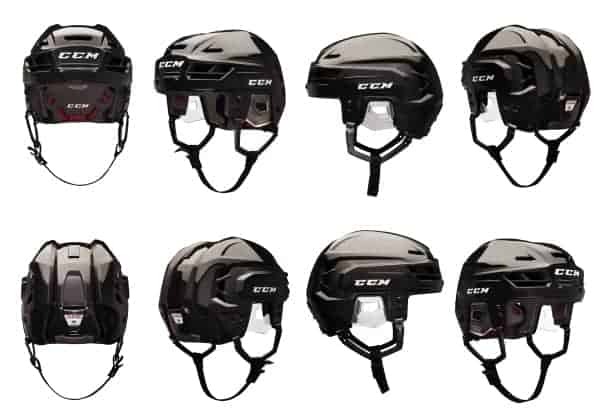 My 3 boys play hockey & my oldest is trying out for AA Midget & if he makes this team he has to have a blue helmet … Sooo.,, this CCM helmet would be perfect! Oops. Didn’t work — sure do. My whole team would love this. I think this would make a great gift for my brother in law. He plays and coaches hockey. My nephew absolutely loves hockey! My nephew is die hard hockey player. I am sure he would love to try this helmet! My husband plays hockey every week and I’m sure he’d love this helmet. I could use this myself! Would love one of these for my husband and my son. My son would like this. My daughter has been asking to try Hockey so this would be great. I know the perfect girl! My daughter’s bestie and a real spitfire on the ice! Both my boys love CCM! My husband needs this!! He plays hockey and has already had several incidents in his years!!! I would absolutely make sure my daughters Boyfriend received it. My daughter suffered a traumatic brain injury in her sport of choice (figure skating) and in a heart beat lost 4 years of her memory and has a lasting memory issue. She is better but as a figure skater they don’t wear helmets. I think this has the potential to seriously reduce the impact! I would love to have the chance to make sure he is safe! Good luck to all and thanks so much for the chance. My son plays hockey as much as he can. Anything to protect him Is what a mother does ! !